INSTALLS IN AN INSTANT - All hardware included - All metal black thumbtacks and weather resistant hook and loop backing makes for quick and easy installation and removal. Comes with our FREE VIDEO INSTALLATION TUTORIAL. 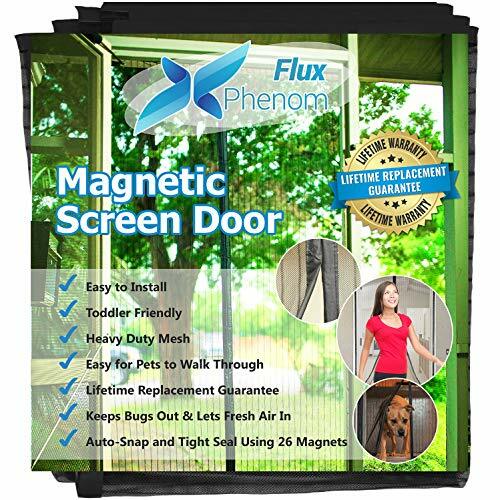 FITS ALL DOOR SIZES UP TO 38"x82" - If your door frame measures 38" or less in width and 82" or less in height, then this adjustable hanging screen door will be the perfect fit! 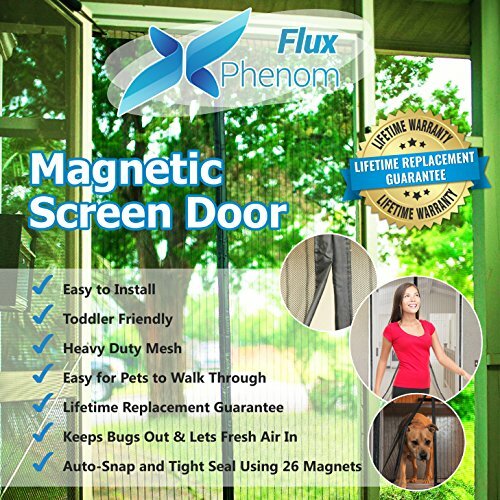 Can be used as a replacement for a fixed screen door and fits front, rear, interior or exterior, entry, patio, balcony, glass, French, and even sliding doors. IMPORTANT: Measure your door before ordering to be sure our screen will fit. OPENS AND CLOSES LIKE MAGIC! 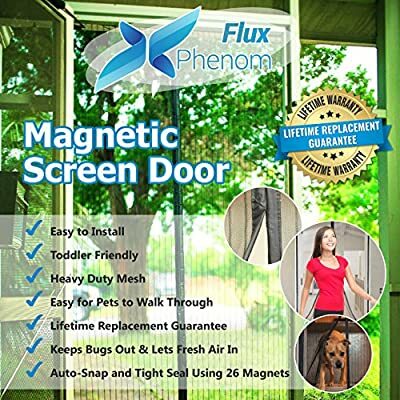 The middle seam of the screen door is strategically lined with powerful magnetic cubes and magnetic strips that allow the door to open easily and close seamlessly! Includes 26 magnets for the best closure. 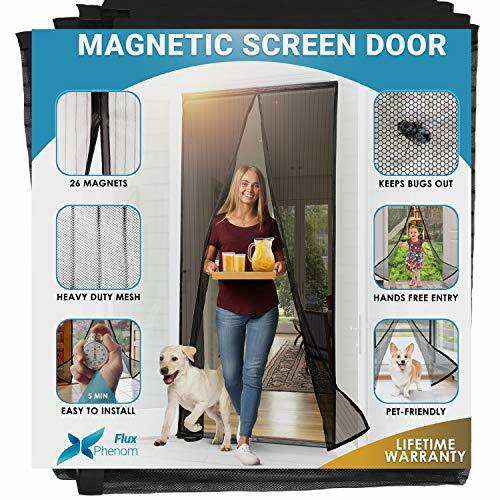 The folding screen door is also retractable and frameless and can be rolled up for temporary storage during the off months and is easily removable. MULTI FUNCTION. Keeps bugs out, lets fresh air in. 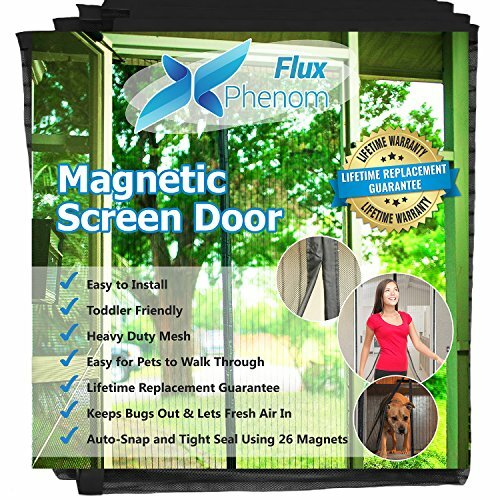 PET FRIENDLY - Dogs and cats can go inside and outside of the house with ease. Screen net helps keep insects, mosquitos, and flies OUT! 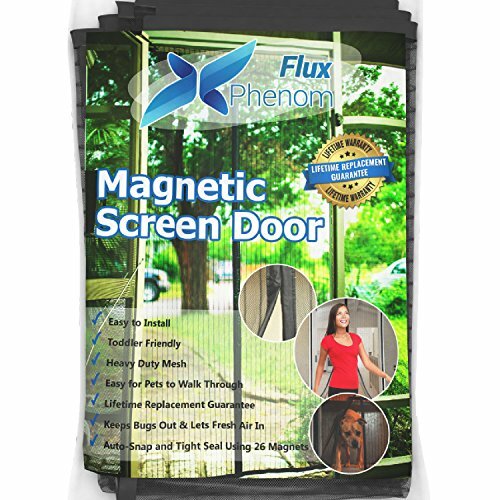 DURABLE, HEAVY DUTY MESH - Upgraded mesh curtain with a higher thread count than other cheap screens and full reinforced edges survive the test of time. Comes with premium metal black thumbtacks and hook and loop adhesive strips for extra security. Hardware is black and invisible when installed.